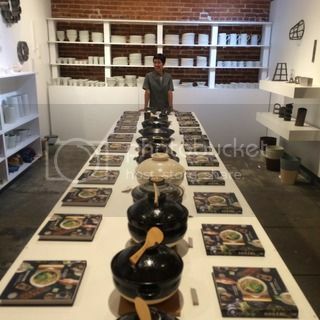 On November 7, I had my DONABE Cookbook publishing reception at Tortoise General Store in LA. It was a great fun! I was so busy during the event, so I could only take photos of "before and after". So many people came to celebrate with me! I am so grateful to everyone who came to the event and also to TGS team and all the people who helped making this event happen.